The MKV format can store multiple video/audio tracks with all meta-information and preserve chapters. There are many players that can play MKV files nearly on all platforms. Generally, there are multiple audio tracks in the DVD movies, and you can choose the audio track to play with the DVD player as you want. Through the above situation, it is a great way to convert DVD movies to MKV video so as to save DVD movies or watch the movies anywhere. 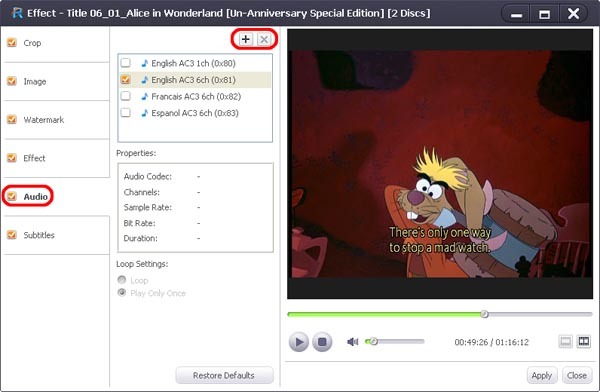 The software Xilisoft DVD to Video Ultimate can convert and convert DVD movies to MKV video with multiple audio tracks, so you may watch DVD discs with your favorite player on your favorite OS or on your favorite device. 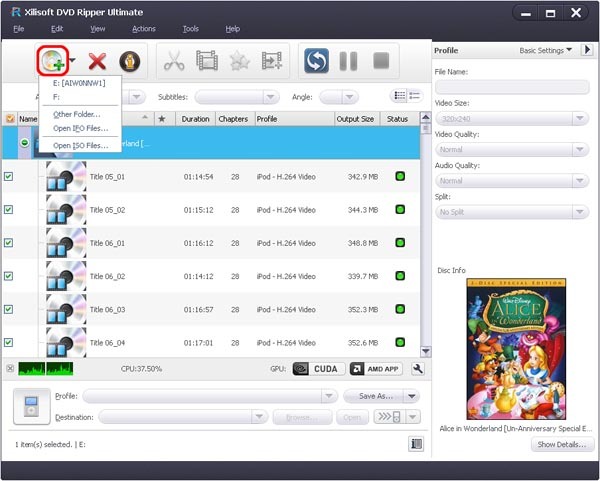 Now, let’s focus on how to make multitrack MKV video with this program. Step 2. Load the DVD movies. Insert an DVD disc into the DVD drive, and click “Add File(s)” button on the toolbar or select “File> Open DVD” on the main menu to load DVD video. Select the main tilte with multitrack and click “Profile” button to select the “MKV-Matroska Video” in the drop-down list. Step 4. Check multitrack for the main title. Select the title need to be converted and open the “Effect” window. In "Audio" tab, check all the audio in the list. Step 5. Convert the video. Check the files you want to convert in the file list and click “Convert Checked Item(s)” button on the toolbar to complete the task. After conversion, open the destination folder, you will find the converted multitrack MKV video.